Order now till Dec. 19, and get your items by Christmas guaranteed some exclusions may apply. 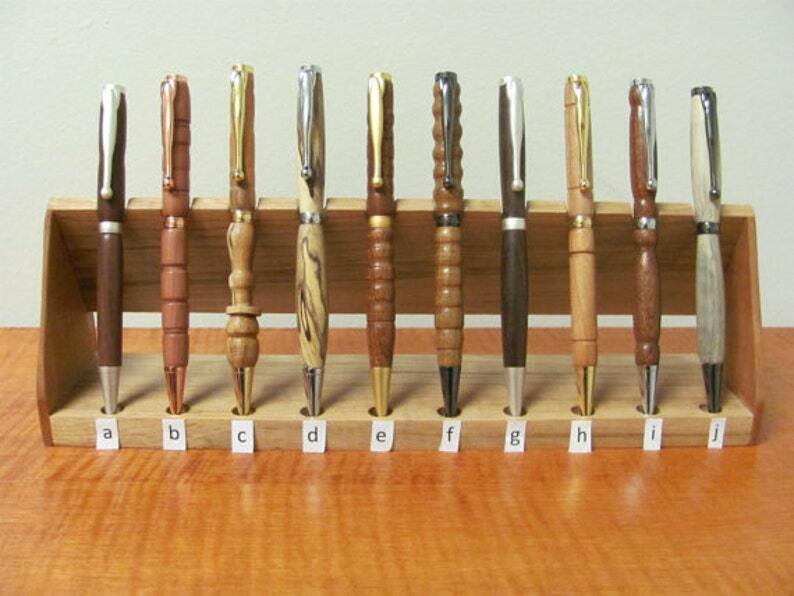 See what some of our customers have to say about our pens. "Love the weight and smoothness of the writing of this pens. Great purchase for the price!" "The pen is even more beautiful in person. And it feels just right in your hand. We gave this as a gift and it was a big hit. " Be one of our next customers and enjoy this wonderful product! Expedited shipping options available: email at dnwoodcrafters [!at] gmail.com with questions. 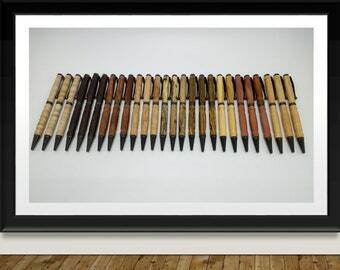 These pens are hand made using various woods. Each pen is unique and beautiful. Metal finish options include: Chrome,24kt Gold, Copper, Satin Gold, Gunmetal, and Satin Pearl. The easy to use twist mechanism pulls apart at the center band so you can change out the cross style refills for blue, black, and red ink. We also have Maple, Peach, Apple, Poplar, Lace Wood, and Yellow Pine. Engraving offered for all pens: purchase "Engraving Fee" Option at Check out as well as the pen you want engraved, and email me with text and font. Ordered two engraved pens. One pen received beautiful second pen had problem with name due to a notes issue. Seller replaced engraved section. Beautiful. Everything was perfect. Shipped timely and received before Christmas! Great experience.